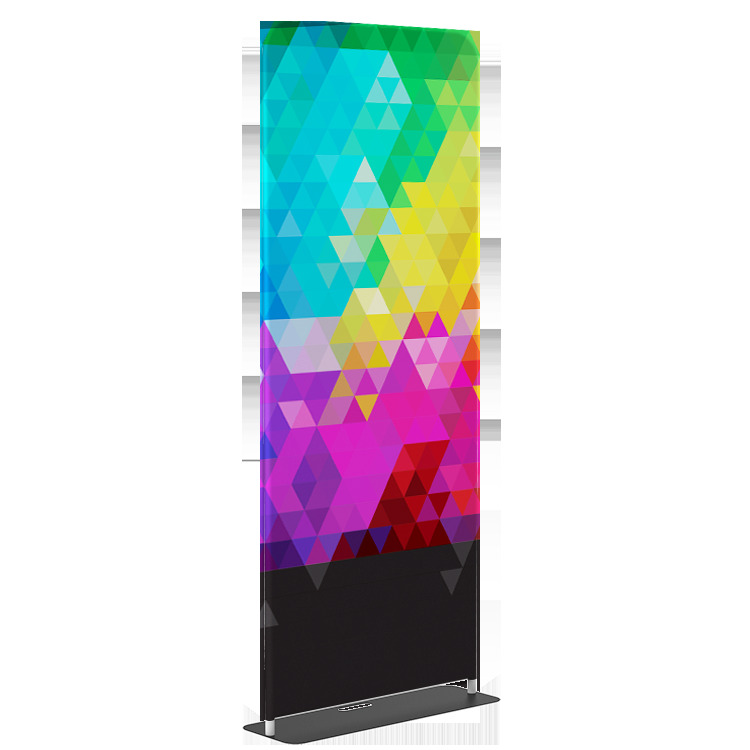 Using a Premium Fabric Banner is great way to stand out from everyone else at trade shows. It is double-sided, so it is like having two banners in one. It is easy to set up and comes with a convenient carry case. It is also larger than typical retractable banners. You can contact us here for other styles, sizes, and quantities. Material: 8.8 oz tension fabric, Size: 36" x 90", Base color: black, Includes carrying case.